V.I.P. wine tasting on a barrel - Famille Rambier - Vins en Pic Saint-Loup, Vallée du Rhône. Unique experience… Emotion sensation… We will open the doors of our winery to you: you will have the privilege to participate in the tasting of one of our cuvées during breeding. Magic sensations usually reserved for our Cellar Master ! 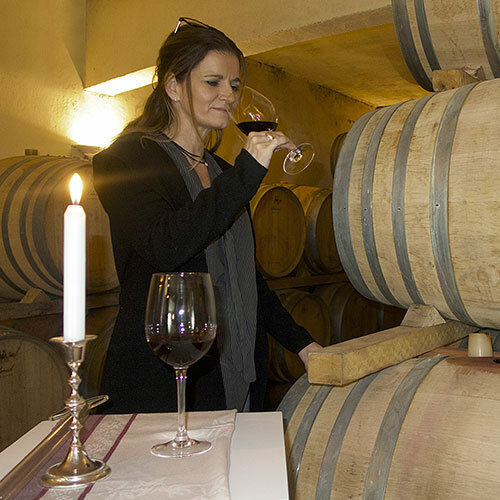 We will then explain how a barrel is made, why use wood for breeding, different woods, reports of wood and wines… A privilege that we wanted to share… Limited seats. Workshop of about 1h30 hours including tasting commented to the barrel complemented by a visit of our facilities and tasting of our wine range.